Golden 1 Center is proud to host this year’s premier college basketball match up, featuring two National powerhouse schools – Kansas and Stanford. Together, the two teams have 61 appearances in the NCAA Men’s National Championship Tournament. 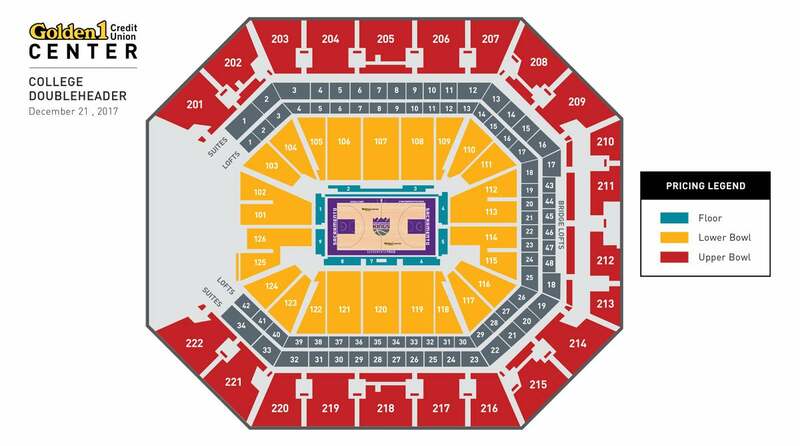 Both teams will take the hardwood at the world’s most advanced sports and entertainment venue on Thursday, December 21. For all group inquiries contact [email protected] or call 888-91-KINGS.